#AskIt – Disney Cruise Line in 2020 – Cruise or Snooze? Big thanks to Julia Mascardo for being the Ask-Meister last week when I was traveling. And super gratitude to Heather Keller for writing up the news about the 2020 Disney Cruise Line itineraries. Interestingly enough both Rikki (who normally keeps you up to date on all Disney news) and I were on the same Disney cruise from New York City to Quebec City. This cruise had A LOT of Disney travel agents on it because of last-minute discounts and because it was a new itinerary. Can I just say that I want Disney to do Canada cruises every year? 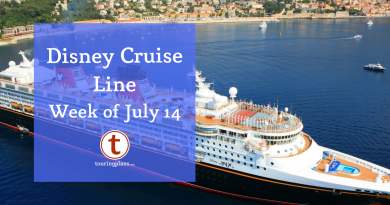 But enough about my trip, the big news that had all of us draining our internet packages on board was the release of early 2020 DCL itineraries. Here is our (Heather’s) summary, but in a nutshell – New Orleans will be the home port for the Wonder for February 2020 through March 6, 2020. Then she will have the usual Panama Canal crossing to the West Coast. There will be two Hawaii cruises (each one-way) between Honolulu and Vancouver on the Wonder. April 29, 2020, is a 9-night from Vancouver to Honolulu (with inter-island stops) and the return is a 10-night on May 8, 2020, from Honolulu, also with inter-island stops. The last time this cruise was offered was 2015. I had to go back through my calendar to check, because I was on the Vancouver to Honolulu cruise. In 2015, cruise were able to back to back a 7-night Alaska cruise with the 10-night Hawaii cruise. in 2020, the cruise before the Vancouver to Honolulu cruise is a 5-night from San Diego to Vancouver. In previous years, the Magic has docked in San Juan with cruises to and from Miami and New York City, but for 2020, the Wonder will be visiting San Juan from New Orleans. What news from Disney Cruise Line about early 2020 itineraries was most exciting to you? Let us know in your comments what you’d like to hear from Disney Cruise Line. Are you ready for the new ships (2021, 2022, 2023)? 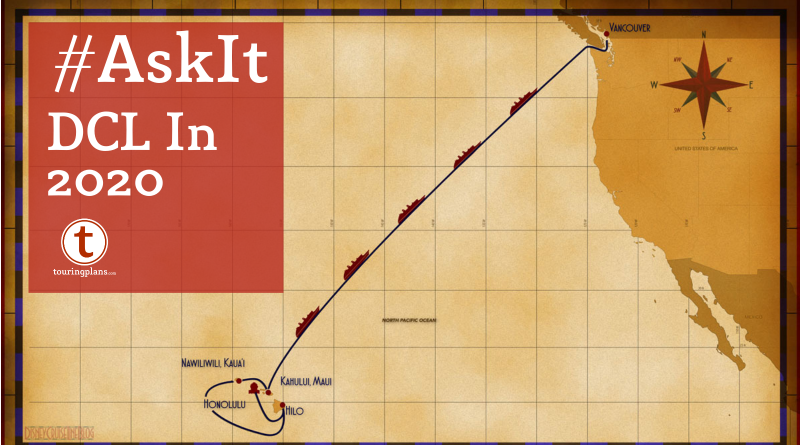 Thank you to the Disney Cruise Line Blog for the map used in this week’s cover image. Love DCL but the outrageous pricing increases are preventing a future cruise being booked. Also wish and hope one of the new ships being built would come to LA or San Diego more regularly. I agree! Hopefully when the new ships come online, demand will ease some and we’ll start seeing lower prices!